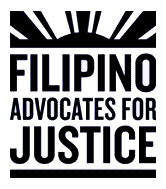 Filipino Advocates for Justice’s Civic Engagement Program has been a long-standing program to support leadership development of the Filipino and immigrant community in their growth in community organizing and political engagement. Our integrated civic engagement vision provides a pipeline of engagement for youth and immigrants accessing direct services to becoming engaged in their community’s push for economic and racial justice. We are an active partner in community organizing and in initiating campaigns in response to attacks on the civil rights of individual Filipinos, sectors of the Filipino community and the broader community. In this role, Filipino Advocates for Justice strives to research and analyze emerging social and economic justice issues affecting workers, immigrants and youth. We develop a political analysis and build greater awareness of issues in the Filipino community through education and dialogue. The Philippines is among the top 5 countries of origin for American immigrants accounting for 4.5% of the 41.3 million immigrants living in the US. At 1.5 million, Filipinos are the largest Asian group in California. Our community is over 60% foreign-born with an estimated undocumented population between 500,000 to 1 million. Nearly 100,000 Filipinos live in Alameda County (6% of total population) with the majority living in Central and South County in cities including Hayward (16,882), Union City (14,516), Fremont (14,743), and San Leandro (8,286). About 55,000 are Tagalog speakers in Alameda County where Tagalog is a threshold language. FAJ is actively involved in voter engagement where we have mobilized thousands of Filipino registered voters to use their vote since 2005. In some cities, like Union City, Filipinos are nearly 20% of the population and the electorate, and hold great potential in our voting power. There are approximately 260,000 Filipino registered voters in CA, and nearly 30,000 in Alameda County. 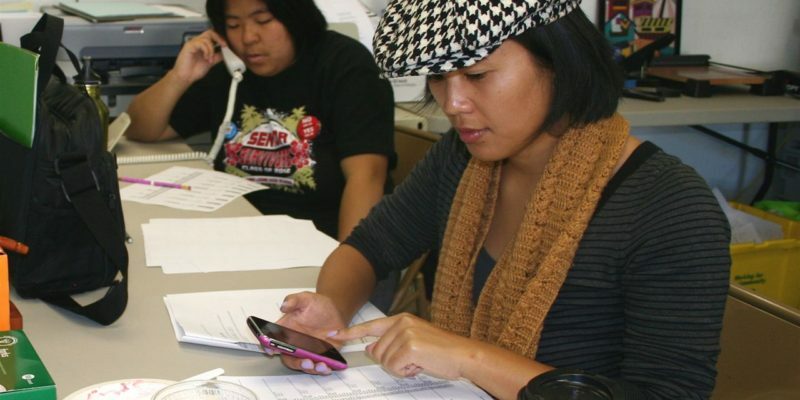 Over the last decade, FAJ has built a voter engagement program that includes voter registration, identification, education, and mobilization locally (primarily), but also state-wide in conjunction with statewide collaboratives, Mobilize the Immigrant Vote and AAPI’s for Civic Empowerment. Over the years FAJ has also collaborated with other groups on voter protection and language access issues. Filipinos in the Bay Area have a long history of displacement – most infamously the destruction of SF Manilatown’s I-Hotel – that continues today with the statewide housing crisis. Alameda and Union City, where working-class Filipinos constitute a rapidly diminishing population, are especially vulnerable due to their relative lack of legal protections for renters. Unless we pass renter protections, long-term residents and community members will be pushed out. FAJ’s tenant rights organizing project aims to protect tenants by advocating for policies that protect tenants and working families such as just cause and rent control. We work in coalition with other local organizations to coordinate campaigns for tenant rights and convene a political space for renters to educate themselves about the ongoing housing crisis and strategize for long-term solutions. Through direct tenant organizing, we aim to engage Filipinos to know their rights, defend themselves from displacement, and organize for protective policies in the future. Contact Denise Sicat Wong, Tenant Organizer (510) 465-9876. According to the Migration Policy Institute, most Filipinos receive their green card through family sponsorship channels. Under current law, Filipino families are harmed by a family visa system that sees Philippine nationals waiting 15 to 25 years after they have been approved for a visa to join their family in the U.S. Even after receiving their green card, Filipinos often face difficulties navigating the lengthy and daunting naturalization process, thus excluding them from voting and other aspects of full political participation in the United States. FAJ aims to build Filipino American political power, and that starts with the legal protection and full integration of our immigrant community. 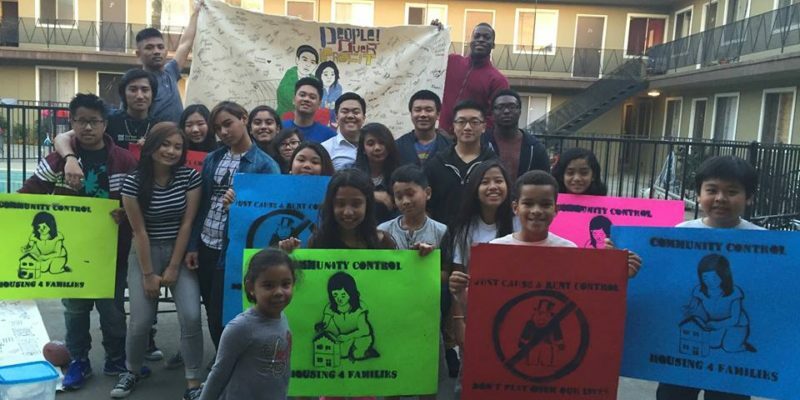 In the spirit of bayanihan, Filipino Advocates for Justice envisions a safe and personal transition for Filipino newcomers to the complexities of the American setting. Our immigration program spans a variety of services and projects to assist and stand with immigrants, regardless of status. FAJ conducts Know Your Rights education for at-risk immigrant populations, youth and workers. 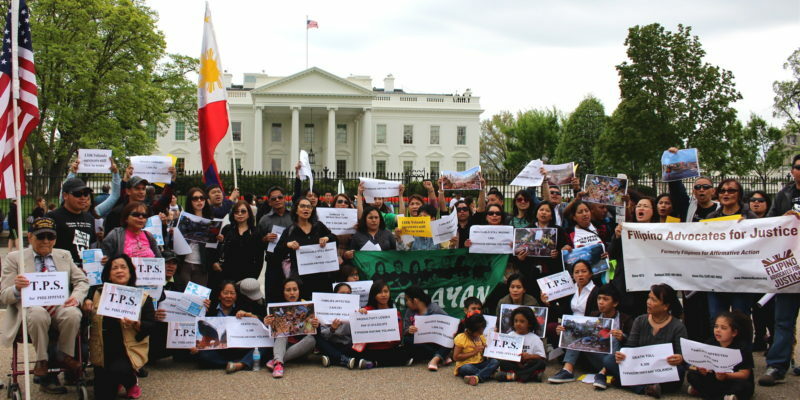 FAJ’s engagement in the Immigrant rights movement is guided by the long-term vision to strengthen the community to fight for what Filipinos and all immigrants deserve: the right to thrive and live without exploitation and fear. Sign up for our mailing list to receive updates about campaigns and actions.